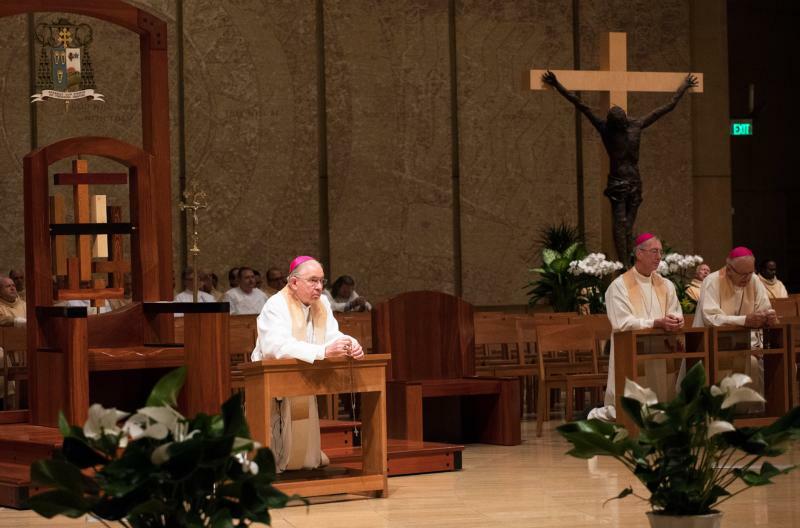 LOS ANGELES (CNS) — Every “time of crisis” in the Catholic Church “is a crisis of saints,” Los Angeles Archbishop Jose H. Gomez said in his homily during the 14th annual Los Angeles Catholic Prayer Breakfast Sept. 18. “It is a crisis of Christians not living out our baptismal promises, not striving for the greater things that we are made for,” he said to the more than 3,500 people in attendance at the Cathedral of Our Lady of the Angeles. Catholics do this “by striving for the greater gifts that God wants to give us — the gifts of holiness and beauty and love and truth,” he said. He said the day’s Gospel reading had words that all Catholics need to hear “in light of this summer of sorrow that we have been experiencing in the church” with regard to abuse.